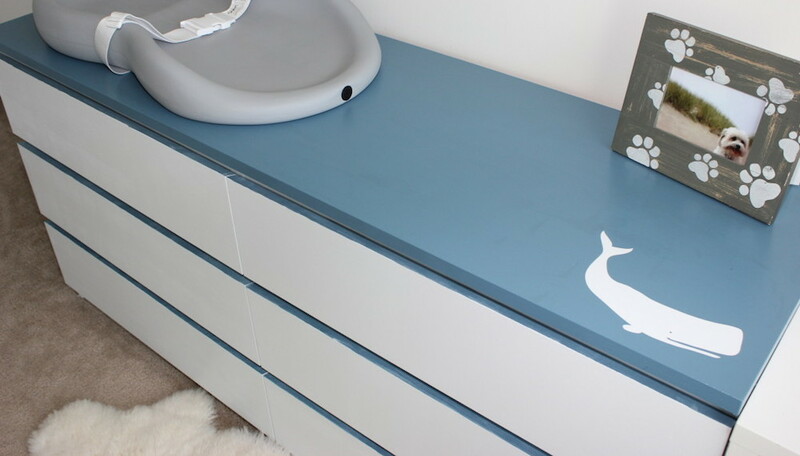 Painting Ikea furniture can transform a generic mass-produced product into a personalised item unique to you. A lot of people are keen to customise their Ikea furniture for this reason but many find themselves put off by horror stories of people trying to paint their Ikea furniture and it all peeling off a few days later. It even leaves some wondering ‘can you paint Ikea furniture?’ This guide will explain how to paint your Ikea furniture so that it doesn’t chip and instead becomes a fresh piece of unique furniture with a new lease of life. Opinions differ as to whether you should paint Ikea furniture while it is assembled or when it is in pieces. 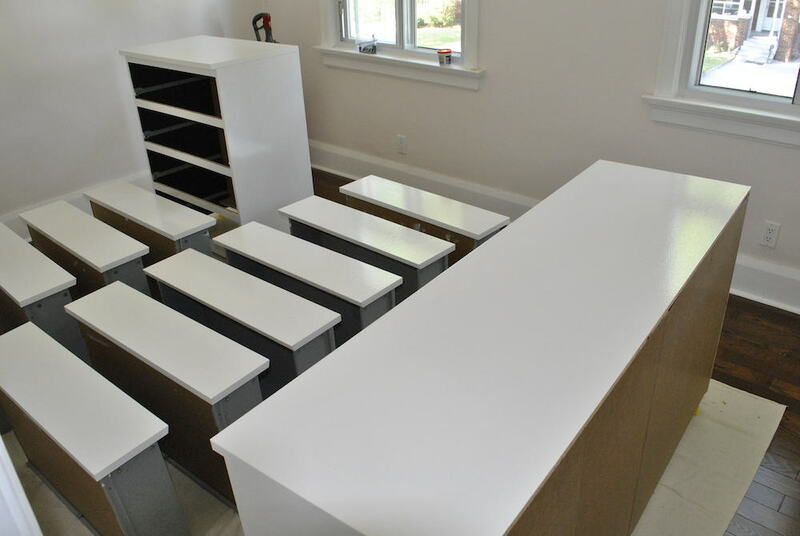 Both ways have pros and cons but generally if you’re prepared to put the extra time in for a slightly better finish then you should take your furniture apart and paint the panels separately. Painting assembled Ikea furniture obviously has the advantage of not having to take apart and put back together your furniture, which can be a time consuming process that could also damage the components if care isn’t taken. It also means that you’ll only be painting the parts of the furniture that will be visible saving you time and paint. The panels are mostly suspended in midair so you can paint both sides at the same time without having to wait for one side to dry before you can flip it, rest it on the ground and paint the other side (which typically causes the painting process to take twice as long). The obvious downside of painting assembled Ikea furniture is that it can be very awkward to get into all the corners and this can end up giving you an uneven paint finish with brush strokes not all going in the same direction. There’s also the risk of accidentally painting parts of the furniture you didn’t intend to such as handles or if you were trying to paint different panels in different colours. For these reasons it can be worth taking the Ikea furniture apart and laying the panels out flat to get a smoother finish, but be prepared for far longer drying times. There is also the risk of chipping the paint when it comes to re-assembling the finished piece of furniture if you don’t give the paint enough time to cure fully. Ikea furniture is essentially designed to be disposable and was only really intended to be put together once. 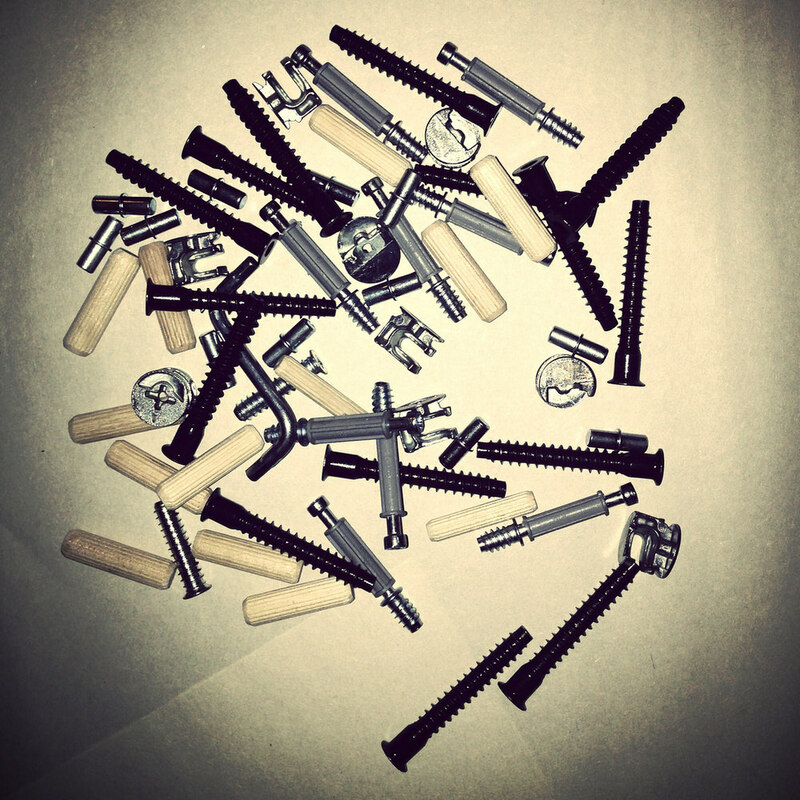 As a result taking it apart and reassembling can weaken the integrity of the chipboard, particularly around the screws where over-tightening can cause them to lose grip. We gave some tips in a previous article on moving Ikea furniture which can help you safely disassemble and reassemble it without damaging the furniture. This guide focuses on painting the cheaper, basic Ikea furniture ranges such as Expedit (Kallax), Lack and Malm. These are all composed of laminated veneer chipboard which is notoriously difficult to work with as paint doesn’t adhere well to the smooth, non-porous melamine surfaces. Preparation is key to any sort of painting and doubly so when it comes to painting Ikea furniture. If you want a smooth finish that won’t chip away, it’s absolutely vital that you key and prime your surfaces prior to applying primer. If your furniture has a smooth, satiny feel such as the basic white Expedit shelves (soon to be Kallax) or particularly the glossy finishes found on the new Ikea Malm ranges, then it is vitally important that you give the surfaces a light sand to create what is known as a key. P120 grade sandpaper is ideal for this and rubbing it at random in broad curves over the laminate roughens up the surface and gives the paint and primer we’re about to apply something to grab onto. Priming is the second vital preparation step and is essential if you don’t want your paint to chip. Primer is a remarkable substance which is intended to stick to any surface, and in turn allow any paint to stick to it. It provides a bridge between furniture surface and paint and ensures good all round adhesion. 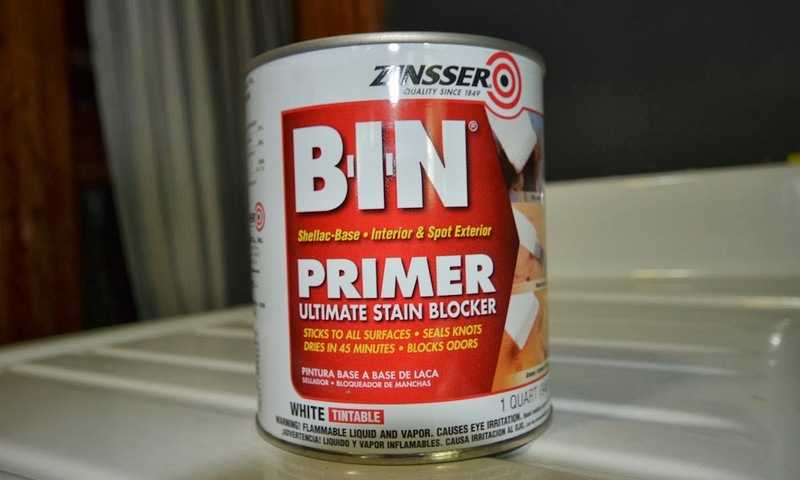 The best primer to paint Ikea furniture with is undoubtedly Zinsser BIN Shellac-Based Primer which is specially designed for laminate surfaces. 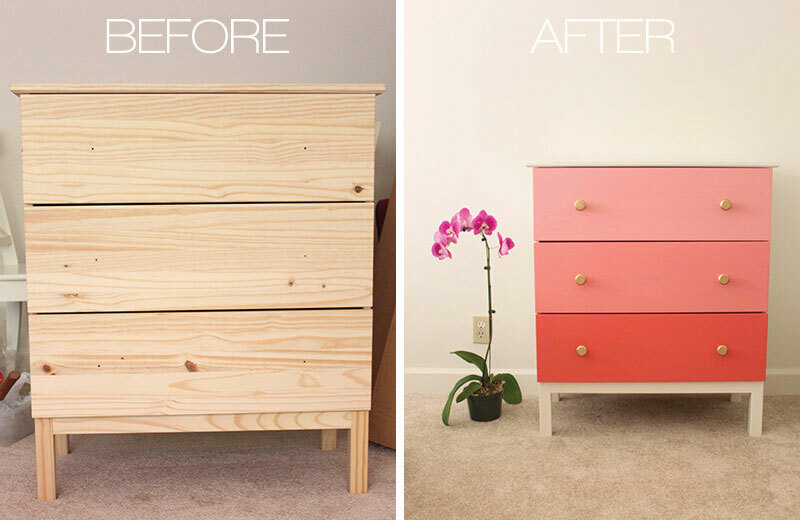 Once you’ve keyed and primed, it’s finally time to paint Ikea furniture – hooray! If you’ve decided to skip these preparation stages, let me just warn you that you’re making a big mistake and will soon regret it. Seriously. The colour of the paint is of course up to you but I’d recommend going with gloss or eggshell over standard emulsion for a much tougher finish. Be sure to read the tin to ensure the paint you’ve chosen is compatible with the primer and follow the instructions with regards to drying and re-coat times down to the letter. Most people recommend using a paint spray gun (which have become more affordable in recent years) for the most even and professional looking finish, but if you don’t have one to hand then a foam mini-roller should suffice. Note that a mini-roller might require a few extra coats to get rid of the unsightly marks and lines they can leave. Generally I’d say to avoid paint brushes at all costs, particularly cheap ones, as you’ll end up applying countless coats of paint to get an even finish (it’s a false economy). Be sure to follow the recommended instructions for drying times between coats of paint or the earlier coats will never fully dry and will eventually come off. Once you’re satisfied with the finish you’ve achieved, you need to allow the paint to dry fully which is known as curing. This takes far far longer than you might expect and if you’re not living in a warm climate, could take weeks or even months. If you don’t allow your Ikea furniture enough time to cure, you’ll soon know about it. The paint will chip off with the slightest knock and this is particularly noticeable for tables in which the paint will come off on anything you happen to put down on them such as cups. Follow the instructions on the paint tin about drying times in relation to temperature and humidity, and remember it’s best to err on the side of caution if you don’t want all your work to have been in vain. Once you’ve waited for the paint to cure over the course of a few days and are happy with the finish you’ve achieved on your Ikea furniture, it could be a good idea to add a topcoat of sealer, particularly if you haven’t used an eggshell paint. There are a number of different types of poly- sealant, with both oil-based polyurethane and water-based polycrylic varieties. Polyurethane sealants are perhaps better known, but as they are nearly always oil-based they tend to yellow over time. Whereas Minwax Polycrylic Protective Finish is water based and so isn’t prone to this yellowing issue, plus it’s also much easier to apply and cleanup. A coat of transparent satin polycrylic will barely alter the appearance of your paintwork at all (although do a test patch to double check you’re happy with it on your particular piece), and will ensure an even stronger and longer lasting paint finish on your Ikea furniture. I’d typically go for 2-3 coats of polycrylic sealant, and as always give a light sanding between coats with a very high grade sandpaper (220+). Remember to carefully remove the dust from this sanding with a quick wipe down from a damp cloth before applying the next coat as polycrylic is completely transparent and will really show up these specks. 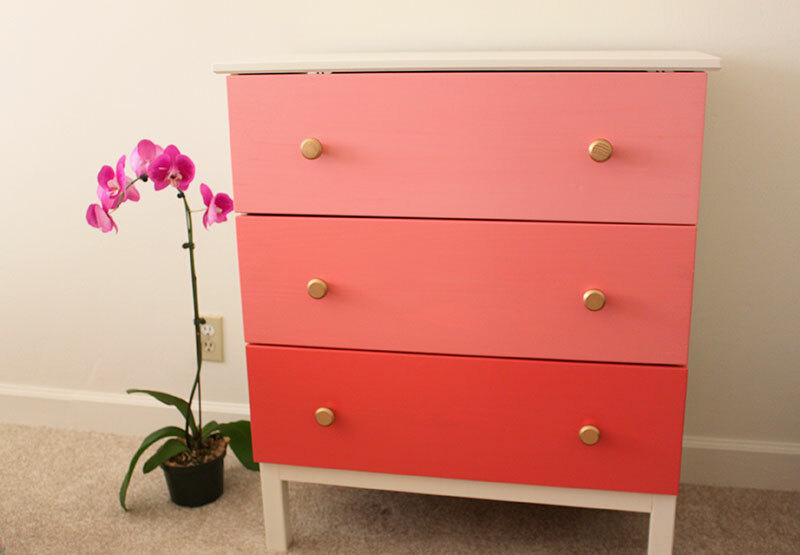 Good luck and may your furniture end up looking as good as this painted Ikea Tarva Chest (similar to Rast) by Luisa from ‘Why Don’t You Make Me?‘ who used Behr Coral paint mixed with varying quantities of white to create this progressive piece. If you found this guide useful, you might also be interested in other articles Homeli has about DIY projects for Ikea furniture. In the past we’ve looked at ways to customise Ikea Expedit shelves(Kallax), how to make your Ikea furniture look vintage, and some ingenious ways to repurpose your furniture known as ‘Ikeahacking‘. I have a question. Is the recommended primer an oil based product ? If so shouln’t the top coats be oil based as well.? Zinsser is shellac/solvent based. It can be topcoated with oil or water-based paints after 45 minutes in ideal conditions. I have painted kallax storage unit grey to match the grey kallax I bought but what colour do I use for the outside edges to match? 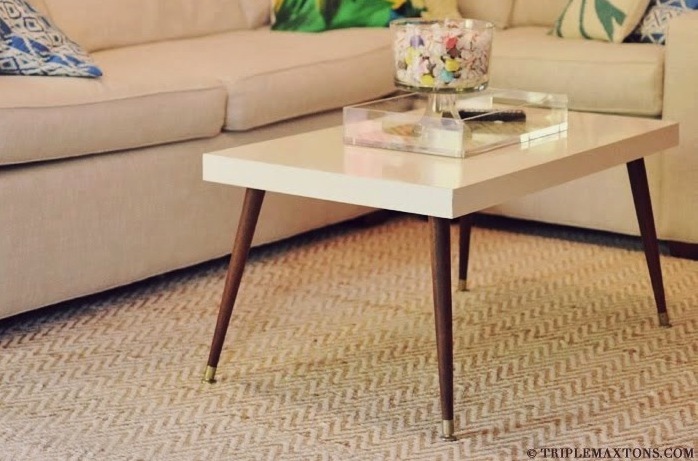 I just bought an IkEA Liatorp console table which is just what I wanted style-wise except for the white color. Is there any way I can follow your instruction ‘but’ get it to match the rest of the stained furniture already existing in my living room ??? Thank you, this is a great help. I’d also like to add a bit of shine to an existing matt Ikea Veddinge door (not painted by me, just as it comes) to make it look more silvery, could I just add a mid sheen varnish layer or would I need to prep somehow? Thank you in advance for any help you can give. Have you done this paint IKEA black brown malm (bed)….. I have a White Malm Single Bed from Ikea, I’m not sure how I’ll be able to paint it white (it’s black) will it be hard? It probably will be harder to paint than a black dresser but I really want to! I’m not sure if I will consider getting a new one knowing that there might be a possibility of painting it over. Has anyone managed to paint their bed black to white? Does anyone know if it’s possible? Thanks for the great post, very helpful! Is it okay if I use synthetic shellac of the Zinger bin advanced primer. Or should I get the exact one posted above. The only difference is mine is synthetic shellac. Is eggshell paint different in the UK than North America? I saw you reference in some comments where people asked if they could use regular wall paint, and you recommended eggshell. Eggshell is fairly standard for “wall paint” here, so wondering if there is a more specific finish/paint type I should be looking for? Thanks for any tips you can provide. Perhaps there is a bit of a difference in terms across the pond. We do have eggshell wall paint here but when someone just says eggshell here they’re usually refers to an oil based paint for woodwork as far as I’m aware. Can you please advise on where to dry the items – I cannot imagine letting to dry this outdoors due to British weather! I am worried about stinking the whole house if I let this to dry indoors. Do you think it is ok to let it dry in the shed? While the paint is still wet, is there a risk or letting particles stick to the paint? Thank you for this. I am wanting to paint an aneboda wardrobe its light wood coloured and wanting to paint it white would the above steps work for this ? Wonderful advice! I’m trying to figure out what I need to do for an ikea bed I bought on craigslist (Gulliver Toddler Bed). It was not painted to begin with (though I’m guessing some kind of sealant) and then the person I bought it from painted it purple. I love the color, thats why I bought it, but I’m finding that as time goes on it keeps chipping and wearing. I don’t really want to strip it all down and repaint it, so any suggestions what I could do for it? She gave me a little paint for touch up, but not much. If I did repaint it, would I need to totally strip it, or just sand on the paint thats already there and use a primer on top of that? I’ve never really painted furniture before. I also have some Sherwin Williams Emerald® Interior Acrylic Latex Paint that I could use, but I’m not sure if that’s just for walls or if it would work. The color would be just a little darker purple then what I already have, so visually I think it might work. 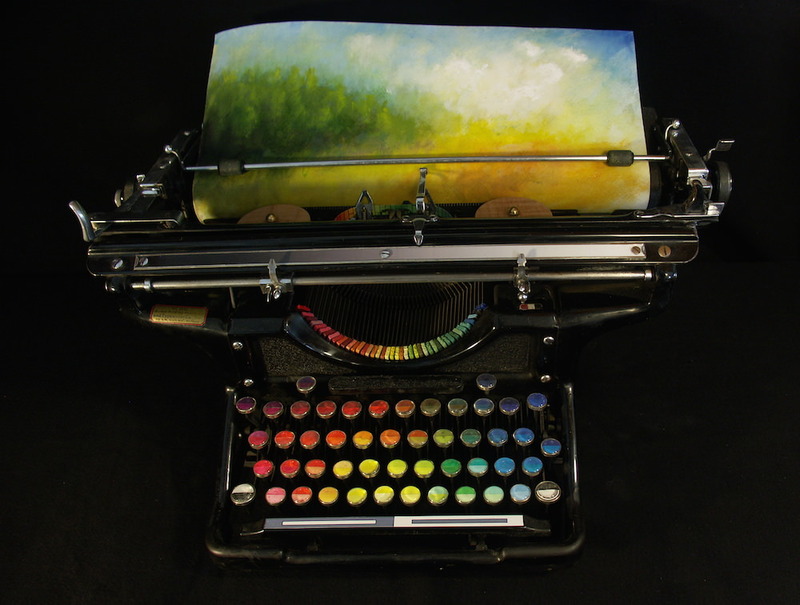 I really like this piece, but I worry about the paint chips with my toddler…. HI, I was wondering if IKEA furniture coated with reinforced polypropylene could also be refinished? IKEA has a round extendable table but it only comes in black or white :(. In the product desctiption its says that the table top is made of: Particleboard, Beech veneer, Reinforced polypropylene, Stain, Clear acrylic lacquer. Is there anyway I can refinish this to look more natural wood or at least a more espresso colour to match the kitchen? Thank you so much for your article, really useful information. I’m struggling to get any zinsser primer. Could you give some specifics of what type of primer I would be best to find. E.g. oil or water based. Is primer the same as oil based undercoat? I have read your wonderful post with great interest, however, I’m interested in Billy shelves. I’m thinking of turning a couple of boring Billies (Birch finish) into a – hopefully – great looking built-in shelf using Farrow & Ball colors. Do you think the process you have described will work here, too? Or should I just hang curtains and forget about the whole thing? Hi Horst, this should work just fine. Painting IKEA furniture successfully is mainly about the preparation and primer and not the final paint. Good luck with your Billy shelves. I do not know why people create a 5 page article for something so simple that can be explained in maybe 6 steps total. Sand surface, apply primer and lightly sand between coats, paint (roller, spray or brush …there are multiple ways of doing things, this is just preference), apply a sealent of choice (test a patch before applying), done! People do not make it more complicated than it needs to be! There are multiple ways of doing things just choose one. And if you don’t like the color just cover it up or sand it away, not a big deal! I think the more you exaggerate unnecessary details (your furniture is not going to fall apart from one dismantle, i know because i’ve taken my cheap piece apart three times already. ), the people will second guess themselves and ask a ton of unneccessary questions (as shown in this comment section). Just go the your home improvement store, buy the supplies, and get the job done. You are not the first and you won’t be the last so i’m certain the paint dept has heard your questions thousands of times, and can suggest or help out with any questions. I don’t know why people write a 199 word comment that could be written in 4 letters. The fact is some people feel uncertain about projects like this and hence they look up detailed articles. Ikea recommend you don’t disassemble and reassemble their furniture so I’m sure some people would want to know if it can be done without having to ruin a piece of furniture first. You might be willing to dive in, mess up and sand back as you said, but some people might decide not to try it all if they don’t feel confident. This article written by one person in an hour or two has been viewed almost 300,000 times, has given people the confidence to try it, and has no doubt saved a lot of paint dept employees a lot of questions and time. Ikea chipboard and melamine furniture isn’t designed to be painted, its not as simple as slapping on some emulsion and hoping it sticks. Not quite sure why you decided to come here yourself if its as simple as you say. This technique will also be ideal for fish tank cabinets right? I read ur article with great interest but am abit stuck. I bought the Lack sideboard and Hemnes Day bed a year ago and want to paint them as they have yellowed in colour from White. I’ve got lots of gloss paint with satin finish ceft over from when I was doing the doors could I use that or spray paint after primer and would I need a sealer on top?? Great post, thank you for sharing. Question; I purchased two side tables from Ikea. The Nornas collection- the key features says the product is untreated solid pine that can be painted. My question should I follow these exact steps? Please advise.. If its unfinished pine then the instructions here will work, but you can just paint it like you would any wood furniture, so the Zinsser Bin primer isn’t strictly necessary and just about any undercoat primer for wood will work. I recently bought a Besta tv unit in oak finish, it doesn’t go well with my rustic oak coffee table and other living room furniture. The Besta is of light oak color and the rustic oak gives a honey tinge. Will you please help me understand if I can oil/lacquer the Besta tv unit and get the similar color that of rustic oak. Does the aerosol primer work also ? I’ve found sources of it in Australia, but it’s very expensive – coupled with paint and sealant, may end up costing more than the furniture I want to paint ! The aerosol primer, however, is much cheaper, and can be had in 396g capacity. May be enough to do a hall table. Also… what’s the difference between that Stain Blocker and Stain Killer ? Which seal do you recommend as the link on this page takes me to several seals and I’m not sure which one to get. Also, how do I know that my paint has cured? I’ve left my furniture overnight and it feels dry to me – is this a trick?! Thanks for the point re “curing”. One of the sides has two layers of paint now, and it’s feeling fairly dry. But I’ll wait until the weekend before doing any sealant. The colour is looking really lush so I hope I’ve done enough prepping etc. Btw, don’t think I said thanks for this helpful guide! And sorry, one last question, should the sealant be applied using a foam roller (as the primer & paint) or using a brush? Or is it personal preference? Really great walkthrough guide to paint ikea furniture. Has a lot of little tips and tricks which you really just wouldn’t know until you try it for yourself, or at least until someone else has tried it and told you about them. Was advised by friends that painting ikea furniture would be impossible but I’m going to have a go after reading this. Hi Klaudia, you’ll want a stronger paint than what you’d use for walls. I prefer eggshell paint for Ikea furniture. Ikea is opening a store close to my store Redposie Boutique furniture in a few a weeks. I teach how to paint furniture. Your information on how to paint Ikea furniture will come in handy for I plan on having workshops on how to paint Ikea pieces. I think any sort of clear matte sealer should do just fine. Eggshell paint should be quite a strong finish in itself though and might not need it, especially if its Ikea wardrobes instead of something like a table. I have the expedit in the dark brown version but I am wanting to change it to white – to suit my new living room theme! Is it possible to go from such a dark colour to such a light colour? Do you have any advice on doing this? Hi Carly, it’s definitely possible. The primer should do a lot to get you back to a neutral colour to work from as it is very opaque. After that just keep layering white. I am planning on painting some IKEA BESTA frames. Planning to use these instructions. My only concern is curing time. Most “how long to cure” guides I’ve read say that latex paint should be left to cure for 30 days! Yowsa. That’s an awfully long time to have to wait between layers. I’ve read that oils pants, however, are good after a week. Thoughts? I’d say just follow what it says on the paint tin, the manufacturer of your specific latex paint probably knows more than other guides. That said, painting ikea furniture might be different curing times. Anyway curing can definitely take long if you have cold conditions but 30 days does seem a bit excessive to me. I’m just about done refinishing the sides of a white Malm bed that was damaged in a move. My initial plan was to touch up spots that needed it, but I figured blending would be more trouble than it was worth so I decided to re-do them completely. First, I would take your piece to get the color matched, works very well. Then, for any gouges in the wood pick up some Bondo and Glazing putty. I was able to repair some serious damage using the fiberglass. Can’t even tell where it was hit. Lastly, not sure if its mentioned but in order to get a nice smooth finish, your paint and finish will only look as good as your primer, so sand out that orange peel before painting. Some great points, thanks for sharing your filler method Diego. Any advice on how to renovate the surface of furniture that has been damaged and chipped and stained in use? Is sanded necessary? I afraid sanding laminate furniture can damage the laminate and ruin the piece. Yes it’s very necessary. Only a light sanding to scratch the surface and make it rough. The whole point is that you damage the laminate because we’re going to be painting over it. Hi Phil, as far as I’m aware the Bjursta table has the same finish type as the rest of the Ikea furniture in this guide so the paint instructions should work much the same. I have the MALM nightstand and chest of drawers in the brownish black. Would I be able to paint it white using your instructions? Hi there, I plan to do the exact same thing as Melinda, considering the brownish black has some grooves unlike the white, do I still need to sand it down? Have any of you succeeded in getting the dark-brown/black malm furniture to a distressed white? I want to do the same thing, and would love to see pictures and get suggestions if you have them! Is there a cheaper primer that I could use? good story of painting ikea furniture. people found it difficult, you have nicely explained it. Hi, sorry if This has been asked already……..Can I tint zinsser shellac primer with an eggshell (dark grey) paint? I’m painting 2 expedit bookcase/units which are a beach color & changing them to dark grey, I have just painted one and found out why tinting would be good for when the finishing color is dark! But don’t want to go and add the dark grey eggshell paint I have, to the zinsser shellac if it’s going to muck up what the shellac does! 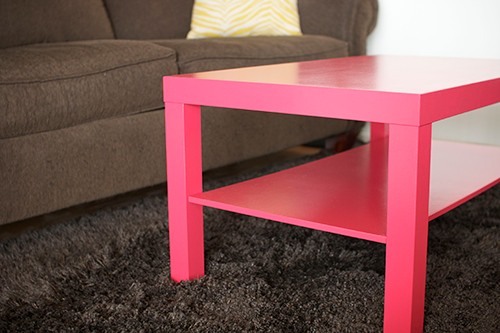 I found this page because I want to paint my Lack side table. I’ve took the Google train to several DIY sites on this same project and this page is by far the most clear and helpful guide! I’m adding this page to my favorites. Thanks for your great advice. I’m planning on buying the Hemnes drawers in white stain (not a glossy finish) and painting the drawers. Do you think I still need to sand and prime for this project? To me the white stain seems a little more unfinished, so I’m wondering if I can just paint straight on? Thanks! I’m not familiar with the white stain Hemnes furniture, but I suppose you could do a test patch of paint to see if it adheres well. However I’d still recommend sanding and priming to be on the safe side. The white stain basically saturates the wood’s surface so that further unintentional staining such as coffee can’t penetrate it, but this would also mean that your paint doesn’t have anything to grab onto. Thank you for this guide, but I’m wondering if the same process would work for wood stains as opposed to paint. I’m interested in getting a couple of Kallax pieces in “birch effect” and staining them like conventional wood furniture. Would that be possible, or is this guide only for strictly painting? Sorry but this guide isn’t suitable for staining, only for painting. As you’re probably aware, the birch effect furniture isn’t real wood, its literally just a picture of birch wood printed on plastic. Staining is all about the liquid penetrating the wood’s grain and it just wouldn’t dry properly, nor give the desired effect on Ikea’s plastic coated chipboard furniture. However Ikea do make some great solid wood furniture which is very affordable and I have successfully stained. Its even possible with their veneered wood furniture as long as you’re careful how much you sand. How long is waiting for it to cure? I live in AZ , VERY warm climate…. 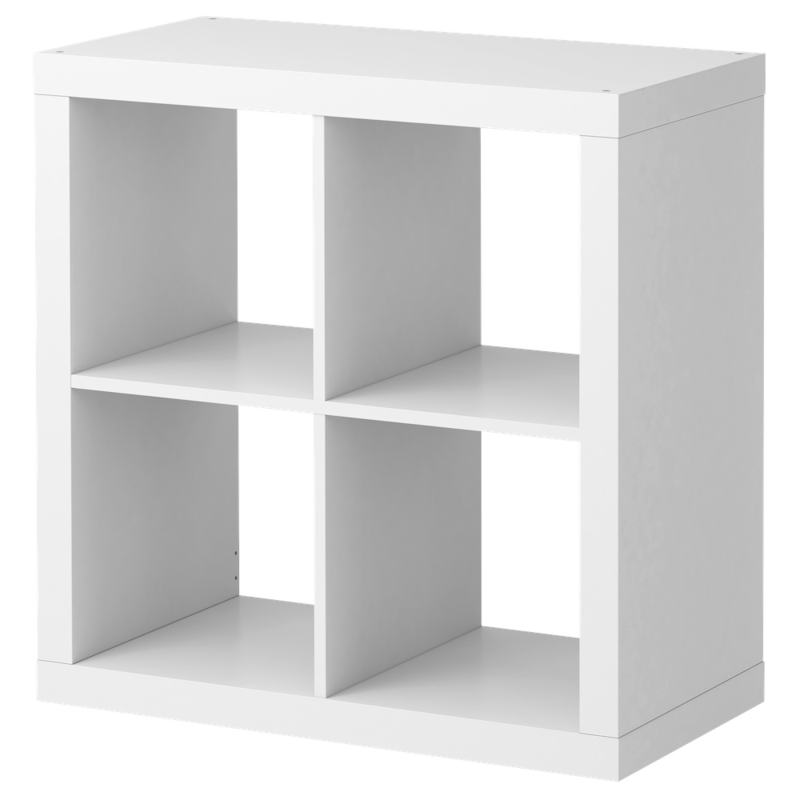 I am planning on painting my three expedit cubes, my rast dressers, and a table (i cant remember the name) from IKEA. Just wondering if you had a ‘ball park’ for the curing time? Hi! Thank you for the wonderful tutotrial! I have finished all of the steps but have the same question as a few others — if it is an item that will be frequently used, should I put a gloss or varnish over the paint so that it doesn’t rub off onto other things or generally rub off of the painted furniture? If so, what gloss or varnish should I use, and how should I apply it? Thank you!! I have a WHITE Kallax 2×4 and the white came off and there is orange underneath. It’s a strip that’s about 7 inches long and 1 inch thick. The orange is smooth. Is this recover-able? What do I use to paint over the orange and paint it white to go along with the rest of the white Kallax? Thanks! I just brought 3pieces of Malm furniture and I want them upscale them. Could you please help me by letting me know, if I want to tint the primer as I would like to paint them black, what’s the best paint to use to tint the primer please. Also how dark should I tint the primer to get the furniture ready for the black gloss paint? Finally do you recommend that clear varnish is used after all the paint has dried? Thanks for the very helpful article. 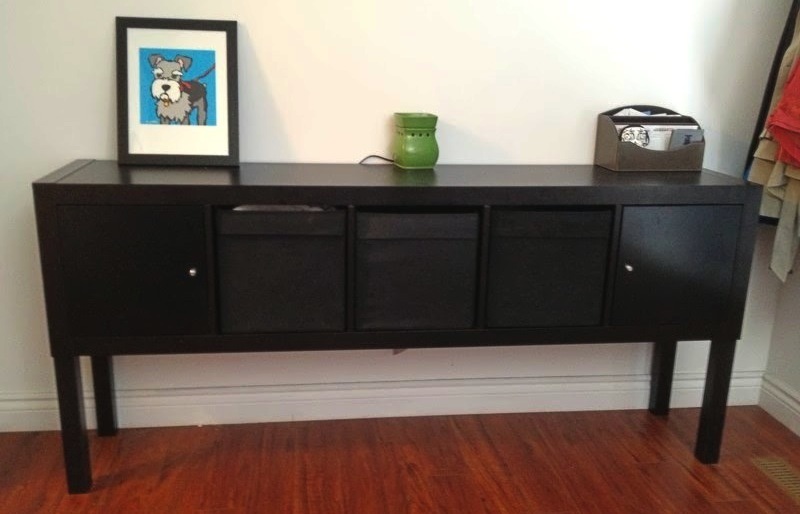 I have some black expedit items and i would like to make them a distressed white. so i am not concerned about possible chipping or small blemishes. after a proper priming, how would you suggest me to proceed? Great info! I just started to sand the top of the Malm desk with a 120 disc on a rotary sander. I find that surface is still fairly slick after sanding with a 120 pad. I know you say “light” sanding, so maybe I’m on the right track. I just want to make sure that there is only supposed to be a subtle texture before priming. Can you please clarify? Thanks! Yes it really is just a light quick sanding and if you find it still fairly slick then I’m afraid you might have sanded it a bit too much. In any case a rotary sander really isn’t necessary for this kind of job and if anything is sanding it too well/evenly. It really does just need a few swipes in an irregular motion to rough up the surface a bit. Thanks! I think I’m ok. I might go over it again once lightly by hand with a slightly coarser grit and then prime. I’m actually doing two of these desks and will forgo the rotary sander for the next one. What a fantastic guide you have here! Perfect for what I’m planning to do with my Malm oak veneer chest of drawers. I want to paint it silver, once I’ve primed and sanded it, would you suggest I spray paint, roller or brush? I wouldn’t recommend spray paint, although a spray gun for real paint is the best option for an even finish. If you don’t have access to one of these then mini-rollers are the next best thing and are pretty cheap. This was great. Thanks so much. I am currently in the process of stripping the KURA bunk beds I bought and painted (but didn’t yet assemble) After reading this article, I can now list ALL the things I did wrong! I sanded but even did that wrong…The paint comes off with a butter knife and since I didn’t allow sufficient drying time, it never fully dried (its been months) and sticks to itself and others. Fortunately, since it was so bad the paint comes off in strips with a razor blade so it won’t take as long to strip as it would if I had done ANY of the prep work correctly! ha! Thanks again for your article. I will be referencing it again in the future. What is your take on using chalk paint? Particularly Annie Sloan chalk paint. I want to paint my Malm dressers and I’m trying to figure out the best paint to tackle this with. I haven’t tried chalk paint to be honest but I think as long as you follow the prep stages it should be fine. They do also recommend a protective wax on their site so you can follow it up with that for best results. Good luck! Please post on how that turns out and the steps you took. I want to paint my expedit with AS chalk paint and am really hesitant. this is a wonderful tutorial. What kind of paint do you recommend? Latex or oil based? Hi Annalie, I’d definitely recommend oil based over latex paint for Ikea furniture as it’s much more durable. Thanks alot for the excellent guide! I did my LACK table today, with primer, old village buttermilk paint and finally a urethane sealer. But haven’t sand it… Will all the job be vain? Hard to say. The primer and urethane sealer will have done a lot to help but Lack tables do have quite a smooth surface and would really benefit from a light sanding. I have a white malm dresser and want to paint it black, should I still sand and use primer first? And do I use oil paint? Sand and prime, definitely. You will regret it immensely if you don’t.